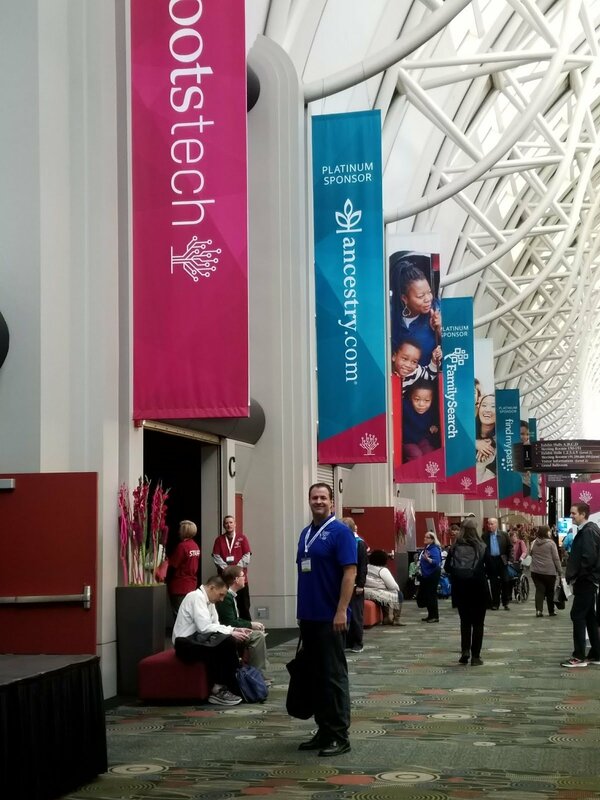 For the past few years, RootsTech has been preceded by a one day event called the Innovators Summit. It was a great way for companies with new technology to introduce it to the family history world. Companies would submit their creations and a selection committee would choose some of them to compete on-stage for cash, business services and media exposure. In 2018 things will be a little different. The RootsTech Innovation Committee wants to hear from YOU. They want to know what new apps and technologies you use and love for family history. Nominations are due by October 15th, and as far as I can tell, you can nominate as many as you want. During RootsTech, 5 finalists will be selected and given the opportunity to talk about their product or service on the main stage. There are 2 ways, and both are easy. The first is to share the product or service on Facebook or Twitter (and maybe include why it's so great) and use the hashtag #RootsTechInnovation. The second option is to click here and fill out this form, which only takes a minute. RootsTech is accepting nominations until October 15th, so there are only a few days left. It'll be great to see the 5 finalists and see if any are new to me. While we're on that topic, I decided to put together my top 5 apps and tools I use for storytelling. At Legacy Tale we're storytellers at heart. We love making memories, then taking steps to preserve them for ourselves and others. So what do we use to preserve our stories? The digital platform at Pass It Down. We love the writing prompts they provide (yes Legacy Tale has writing prompts too. Theirs complement ours) for telling a story. The ability to preserve a story as text, audio, video or with photos - all within the Pass It Down ecosystem - makes that preservation so much quicker and easier. The most frequent challenge we hear from people is not knowing where to start. Another benefit of using writing prompts is that it focuses you on one story. You don't need every detail of your life thus far, just write about what comes from the prompt. This year Pass it Down launched a new product, GreetingStory (read our review here). A combination of a greeting card and a writing prompt, this innovative new product lets you preserve a story through writing, then have it digitized and made shareable with close friends and family. With affordable pricing, GreetingStory is like having your own biographer for about $10 a month. With people taking more and more photos every day, the need to manage all of them is now critical. While there are many good options out there, they all require a lot of ongoing time and effort to manage your photo library. Google Photos is different. Using Google machine learning, Photos can do most of the organization for you. Photos groups photos based on the date, place, people (in the photo) and object. This makes is very easy to find and group photos into albums. Sharing is easy too. Just type in the name or email address of the person and boom - shared. We've written several posts about Photos, and we even sell a comprehensive book that covers every detail of Photos. To see those articles, click here. While Google Photos handles existing digital photos, PhotoScan deals with older printed pictures. While diehard photo organizers will say you should always use a flatbed scanned for scanning photos, We believe that PhotoScan has made flatbed scanners more of a luxury than a necessity. The ability to get top-quality scanned images from your phone, coupled with the convenience of using a phone instead of a scanner make PhotoScan an easy choice for all but true photo restoration projects. To read more about PhotoScan, click here.